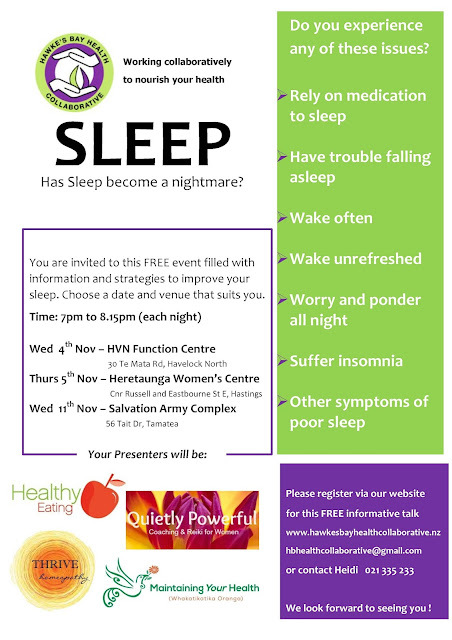 I will be presenting homeopathic medicines which could improve your sleep. You will also find out how beneficial adjustments to your diet can be, which herbs, teas to use. We will also talk about creating a healthy sleeping environment and what you can achieve with meditation and thoughts to get that well deserved rest. 4 presenters and plenty of hands on advice, tips and information. Do come along to these evenings and spread the word.